To advocate, promote, and create opportunities for all forms of bicycling in the Miami Valley. Bike Miami Valley is all about making the voices of the everyday cyclists heard. Advocacy takes many forms – targeted campaigns and programs, contacting corporate developers, meeting elected officials. There is tremendous power in numbers. The common thread is looking out for local bicyclists – focused on your interests. Bike Miami Valley strives to be the hub for regional cycling information. We want to get the word out about your upcoming cycling events, rides, and bike education. Contact us at least 3 weeks prior to the date and we’ll post your event for free on our website, Facebook page, and community calendar. Bike Miami Valley is dedicated to creating fun and exciting events for bicyclists of all ages and skill levels. We are also interested in hearing your ideas. Become involved and get those creative juices flowing! Bike Miami Valley started to emerge in the early 1960s and operated under a few different titles until becoming the organization you know of today. It all leads back to the Huffy Corporation. In 1961 Horace Huffman Jr., Chairman and CEO of the Huffy Bicycle Corporation, co-founded and sat as the first president of the Dayton Cycling Club. Four years later, he formed and led the Greater Dayton Bikeway Committee, which later would be named the Miami Valley Regional Bicycle Council (MVRBC). Bike Miami Valley (BMV), this nonprofit organization, branched from MVRBC in the early 70s. Bike Miami Valley drafted one of the nation’s first regional bikeway plans, which was adopted by Dayton’s regional planning commission in 1973. This proved instrumental in the development of much of the recreational trail system you might be familiar with today. After being officially incorporated in 1979, Bike Miami Valley was diligently focused on the region’s cycling trends over the next twenty years. In addition, Bike Miami Valley hosted the region’s largest and most widely celebrated bike event every year; The Thunder Road Bike-a-thon. In the past decade, the organization became dormant, and there is no better way to say it… but it simply put itself out of business by accomplishing its core programs and initiatives. There seemed to be little left to do, so the organization fell silent. In 2008 Bike Miami Valley resurfaced from that dormant period and is now refocused on current cycling trends and the region’s growing cycling community, which is dramatically different today. We are the founding organization of the Miami Valley Cycling Summit, an event held biennially around the region. The latest accomplishment to our record is hiring full-time staff and launching southwest Ohio’s first bike share program, Link, in May of 2015. 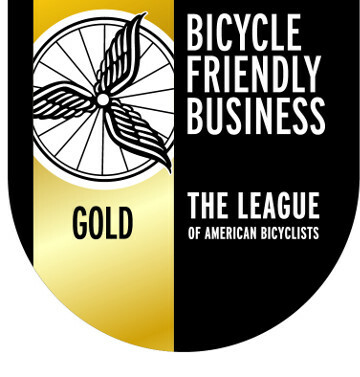 Bike Miami Valley is recognized as a Gold Level Bicycle Friendly Business by the League of American Bicyclists. Please consider joining Bike Miami Valley and help us write the next 30 years of our bicycle history. The Bike Miami Valley Team is dedicated to serving the region's bicycling needs. Read more May is National Bike Month! Membership Time: Join or Renew Today! Read more Membership Time: Join or Renew Today!